Problems. We all have them. Some are small, others are big. We think about them. We think about solutions and worries, whether it’s productive or not. However, sometimes this thinking can become so constant that it’s impossible to stop. But if we want to take action in our lives and live in the moment, we need to learn to stop it. The problem that we’ve all experienced, however, is that the harder we try to stop thinking, the more intense our thinking becomes. According to Buddhism, it’s all about learning the art of acceptance and letting go. Below we have some excellent advice from Buddhist Master Osho on how to cultivate a calm mind. Osho goes to say that overtime, you’ll begin to create a gap between the observer and the mind, which is he poetically calls “a taste of Zen”. Through non-attached witnessing, Osho says that eventually this will give you more control over the mind. Instead, Osho says that using a technique like meditation is the correct way to control the mind, because you’re simply sitting their and watching the mind, without fighting against it. “Meditation is not an effort against the mind. It is a way of understanding the mind. It is a very loving way of witnessing the mind — but, of course, one has to be very patient. This mind that you are carrying in your head has arisen over centuries, millennia. Your small mind carries the whole experience of humanity — and not only of humanity: of animals, of birds, of plants, of rocks. You have passed through all those experiences. I am committed to cultivating the insight of inter-being and compassion and learning ways to protect the lives of people, animals, plants, and minerals. I am determined not to kill, not to let others kill, and not to support any act of killing in the world, in my thinking, or in my way of life. I will cultivate openness, non-discrimination, and non-attachment to overcome violence, fanaticism, and dogmatism in myself and in the world. 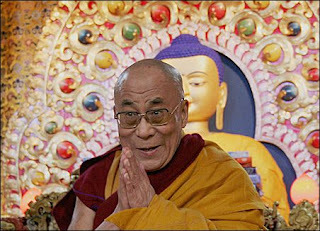 I am committed to practising generosity in my thinking, speaking, and acting.I will practice looking deeply to see that the happiness and suffering of others are not separate from my own happiness and suffering; that true happiness is not possible without understanding and compassion; and that running after wealth, fame, power and sensual pleasures can bring much suffering and despair. I am committed to practising Right Livelihood so that I can help reduce the suffering of living beings on Earth and reverse the process of global warming. I am committed to cultivating responsibility and learning ways to protect the safety and integrity of individuals, couples, families, and society. Knowing that sexual desire is not love, and that sexual activity motivated by craving always harms myself as well as others, i am determined not to engage in sexual relations without true love and a deep, long-term commitment made known to my family and friends. Practising true love, we know that we will continue beautifully into the future. I am committed to cultivating loving speech and compassionate listening in order to relieve suffering and to promote reconciliation and peace in myself and among other people, ethnic and religious groups, and nations. I am committed to speaking truthfully using words that inspire confidence, joy, and hope. When anger is manifesting in me, I am determined not to speak. I will practice mindful breathing and walking in order to recognize and to look deeply into my anger. I will practice Right Diligence to nourish my capacity for understanding, love, joy, and inclusiveness, and gradually transform anger, violence, and fear that lie deep in my consciousness. I am committed to cultivating good health, both physical and mental, for myself, my family, and society by practising mindful eating, drinking, and consuming. I will practice looking deeply into how i consume the Four Kinds of Nutriments, namely edible foods, sense impressions, volition, and consciousness. I am determined not to try to cover up loneliness, anxiety, or other suffering by losing myself in consumption. I will contemplate inter-being and consume in a way that preserves peace, joy, and well-being in my body and consciousness, and in the collective body and consciousness of my family, my society and the Earth. People who contemplate of committing suicide may think that suicide is the only way that can take away all the pain and end their suffering. But in Buddhism, death is only the beginning of another cycle of pain and suffering for others and yourself. According to the Buddhist teaching of the Four Noble Truths – life is full of dissatisfactions. All the stages of life - birth, ageing, sickness, death - all the ways of being, wanting and striving are conditions of suffering. However, the Buddha also taught that the end to a dissatisfactory life is possible with the Noble Eightfold Path. 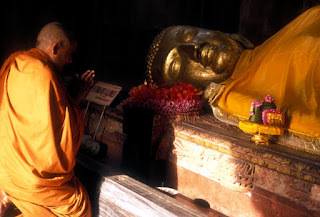 The Buddha also taught us to realise the impermanence and insubstantiality of both life and death. Everything changes constantly. Nothing stays the same. Rain might come after sunshine, but so does sunshine comes after rain. In the realisation that people (their personalities, interests and attitudes) and life situations are unfixed and constantly changing, it becomes possible to approach each moment with an open mind. One is then able to react and adapt to new situations without clinging to outdated and inconsequential conceptions. We can live more in the present without hanging on to the past or worrying about the future since each phenomenon arises depending on causes and conditions that are coming into being. In Buddhism, the mind is also seen as the root of all good and all evil, the cause of both suffering and True Happiness. It regards the mind as the primary factor that determines the well-being of each person. Through meditation and counselling, the perception of reality for those with persistent negative-thinking can be adjusted. This will enable them to better cope with the unexpected changes of life. "If one knows how to treasure oneself, one should protect oneself well." 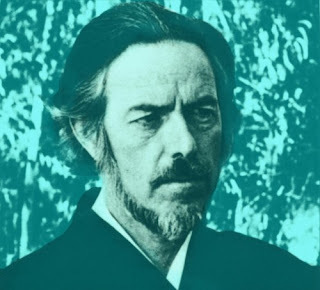 "According to the Buddhist teaching of cause and effect, since one does not realise the truth of all phenomena, or does not practise to be liberated from life and death, suicide is pointless. When one's karmic retribution is not exhausted, death by suicide only leads to another cycle of rebirth. 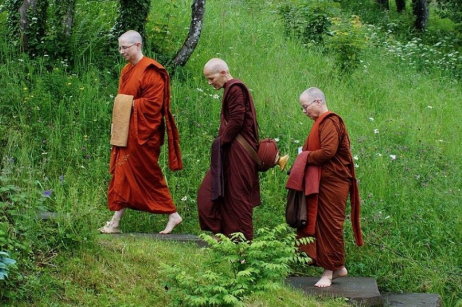 This is why Buddhists do not support suicide; and instead, encourage constructive living, using this life to diligently practise good, thus changing the present and the future for the better." "Some people commit suicide; they seem to think that there is suffering simply because there is the human life, and that by cutting off the life there will be nothing... But, according to the Buddhist viewpoint, that's not the case; your consciousness will continue. Even if you take your own life, this life, you will have to take another body that again will be the basis of suffering. If you really want to get rid of all your suffering, all the difficulties you experience in your life, you have to get rid of the fundamental cause (greed, hatred and delusion) that gives rise to the aggregates that are the basis of all suffering. Killing yourself isn't going to solve your problems." "Taking one's own life under any circumstances is morally and spiritually wrong. Taking one's own life owing to frustration or disappointment only causes greater suffering. Suicide is a cowardly way to end one's problems of life. A person cannot commit suicide if his mind is pure and tranquil. If one leaves this world with a confused and frustrated mind, it is most unlikely that he would be born again in a better condition. Suicide is an unwholesome or unskilful act since it is encouraged by a mind filled with greed, hatred and delusion. Those who commit suicide have not learnt how to face their problems, how to face the facts of life, and how to use their mind in a proper manner. 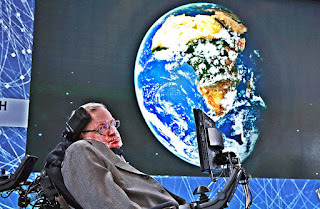 Such people have not been able to understand the nature of life and worldly conditions." "This human body and life is difficult to attain but is now attained. 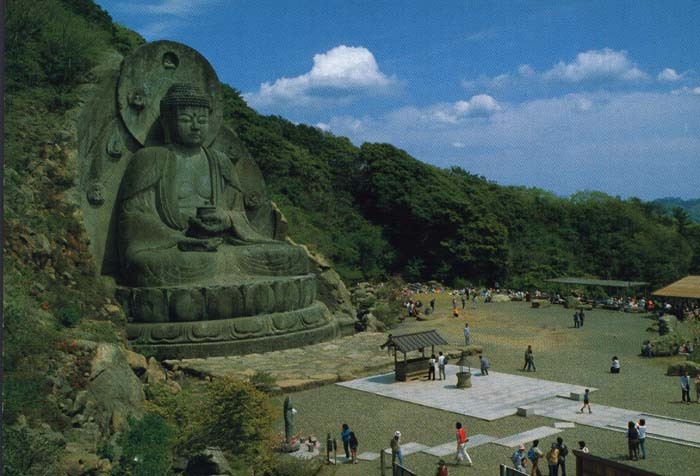 The Buddha's teachings are difficult to encounter but are now encountered. If we do not use this precious body to help ourselves, till when shall we wait to save ourselves?" k) be cool, calm and understanding — serving not only as a wife but also as a friend and advisor when the need arises. 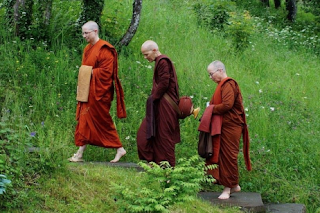 In the days of the Buddha, other religious teachers also spoke on the duties and obligations of a wife towards her husband — stressing particularly on the duty of a wife bearing an off-spring for the husband, rendering faithful service and providing conjugal happiness. According to what the Buddha taught about the law of Karma, one is responsible for one's own action and its consequences. Whether a son or a daughter is born is determined not by a father or mother but the karma of the child. And the well-being of a father or grandfather does not depend upon the action of the son or grandson. Each is responsible for his own actions. So, it is wrong for men to blame their wives or for a man to feel inadequate when a son is not born. Such Enlightened Teachings help to correct the views of many people and naturally reduce the anxiety of women who are unable to produce sons to perform the "rites of the ancestors." Although the duties of a wife towards the husband were laid down in the Confucian code of discipline, it did not stress the duties and obligations of the husband towards the wife. In the Sigalovada Sutta, however, the Buddha clearly mentioned the duties of a husband towards the wife and vice versa. The Buddha, in reply to a householder as to how a husband should minister to his wife declared that the husband should always honor and respect his wife, by being faithful to her, by giving her the requisite authority to manage domestic affairs and by giving her befitting ornaments. This advice, given over twenty five centuries ago, still stands good for today. Knowing the psychology of the man who tends to consider himself superior, the Buddha made a remarkable change and uplifted the status of a woman by a simple suggestion that a husband should honor and respect his wife. A husband should be faithful to his wife, which means that a husband should fulfill and maintain his marital obligations to his wife thus sustaining the confidence in the marital relationship in every sense of the word. The husband, being a bread-winner, would invariably stay away from home, hence he should entrust the domestic or household duties to the wife who should be considered as the keeper and the distributor of the property and the home economic-administrator. The provision of befitting ornaments to the wife should be symbolic of the husband's love, care and attention showered on the wife. This symbolic practice has been carried out from time immemorial in Buddhist communities. Unfortunately it is in danger of dying out because of the influence of modern civilization. Upon contemplation of William Shakespeare’s work, we find hidden truths nestled deep into the root of our society, our egos, and the illusions of self that keep a firm grip on our perception of reality. The world-renowned Philosopher Alan Watts, taught his students to understand that when we are born, we do not differentiate between the external and internal world. We do not understand “that which exists outside of ourselves and that which exists internally” and therefore as we grow we learn to discern what is I and what is you. This was the true understanding of duality and the ego; that without you, there could be no me and if there was no me, then there would in fact be, no you. With this understanding we begin to see, that we are all wearing a societal mask–a role that each of us play on the grand stage of life. That, the description each of us gives ourselves, is only measured by the perception of someone else and when you begin to care about the perceptions of others and what others think, you have engaged emotionally. You have become subject to the judgement and perception of others, falling into your role too deeply. You have in fact lost yourself in the role that you are playing and the game of hide and seek has begun. By grasping this concept we then can remove our mask and we are simply left with thought and perception. And so today, we are here to ask. Who are you really? Do you believe yourself to be the role you have assumed in society? and do you associate yourself as being the thinker of your own thoughts? Are you the mastermind behind each and every emotion that arises and each and every thought that transpires inside of your mind? Allow yourself the time to ponder this for moment and when you realize that this too, this thinker, that you believe is you is also just a thought, then you can begin to see that you are not the thinker of your own thoughts. Upon this realization the question then begs, what is beyond thought? A being, a nothingness, an observer perhaps? In basic spiritual practice, we understand that energy follows mind and therefore we can safely say that each thought form, creates a verifiable electromagnetic field of energy that broadcasts out into the universe, and creates our own existence. And Science has recently discovered that the universe is mental, immaterial and spiritual. Meaning that all is mind. Thoughts do in fact create our very existence, bringing an end to materialism In lamens terms, this means that every object, including your chair, your car, your house and your own body is made up of particles. These particles are vibrating on different levels of frequency and these particles have been proven to be 99.999% space. So in reality, when you think that you are sitting on your couch watching the television, you have in fact created the perception, that you are sitting on a couch watching a television. This is the true power of the mind. And even with all of this scientific data– the teachings of the wise and the practices of ancient old, we still ask. Who are we? About a year ago, I awoke in the night from the most frightening of dreams. A dream that I was trapped inside of a girl and didn’t know how to get out. I was lost, I was scared and my mind was frantically racing to try to get out of my own incarnated body to find freedom. I watched this poor girl as she suffered day in and day out trying to fight off the illusions, the emotions, the vicious cycle of thoughts and as I awoke in a cold sweat, feeling absolutely dreadful. I remember thinking how will I help this girl? And then I realized. I was watching her. From all of the levels of creation to the grandest scale of the universe, the eternal consciousness the energy of the all is within each of us. And as we tap in to this vibration, we soon realize that we are not puppets on strings or a cloth tarrying in the wind to bear all that life has to throw at us. So, when you are done playing hide and seek with yourself, you will see that you are not a victim of the world, you are the world. We are not hear to dance to beat of the earth’s drum, because we are not the dancers….We are the dance. Harnessing the eternal energy of universe, the cosmic consciousness of man incarnated. Creating our every moment of existence by the energy of thought, manifesting before our eyes as we consciously and seamlessly walk through it. We are the creators of our own world and as we expand our consciousness and increase our awareness, we become the creators we were all intended to be. The awakening is not coming like something to expect far off in the distant future. The awakening is now. In every moment, in every circumstance and by changing our perception we know that now, it’s time to create. The Dalai Lama Asked One Simple Question That Can Turn Science Up-Side-Down. Now with thousands of studies being done on meditation methods the Dalai Lama has his own evidence that Buddhist practices work and are not merely beliefs or superstitions. 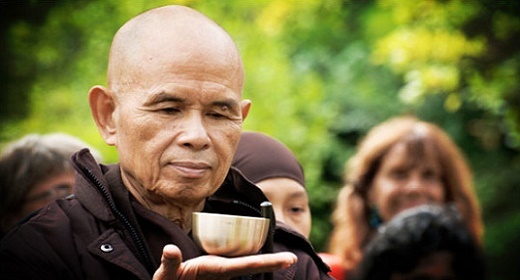 A prominent Buddhist monk has even been declared the world’s happiest man. 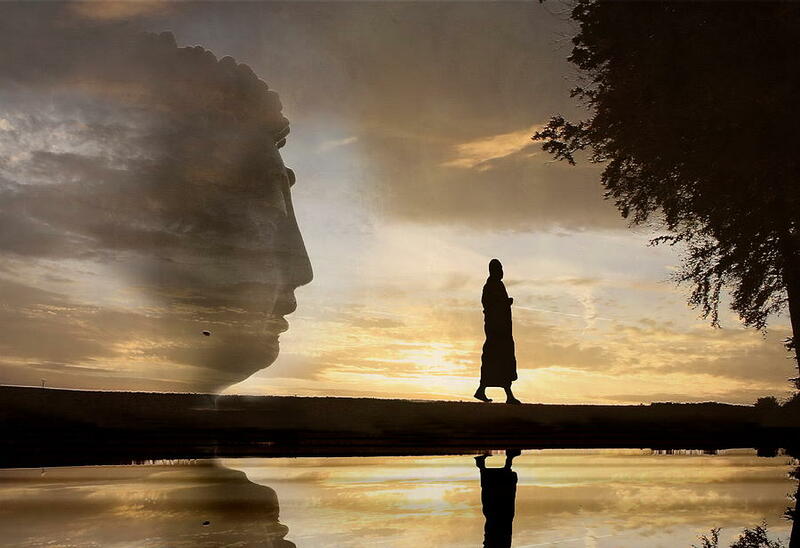 Further and deeper still is the esoteric Buddhist idea that there is a universal field of consciousness at the base of the individual’s personal stream of consciousness. The person becomes a fully enlightened being when they realize their substantial identity as the universal field of consciousness or Buddha Nature and stops being attached to and identifying with insubstantial incarnations of physical form. Change in opinions has always been a slow process in human history. Until then, as the Dalai Lama constantly preaches, let’s make understanding each other’s views and loving kindness toward each other the main way we communicate and interact. With open dialogue and respect for each other we can move toward understanding the universe in a peaceful and unified way! 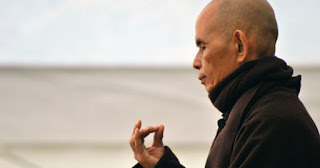 6 Lessons From Thich Nhat Hanh On Happiness. It's time to get your basic ideas on happiness right. Most of us are searching for happiness in the wrong places. We think that happiness is something that we get from the money we make, or from the status we acquire. However, happiness is something beyond what the world can offer. It’s a mindset that can be obtained only by changing our approach to life. Some incredible men who have found real peace and happiness inspire the rest of the world through their lives and their contributions to the society. Thich Nhat Hanh is one such Buddhist monk who has inspired many people through his life and his books. 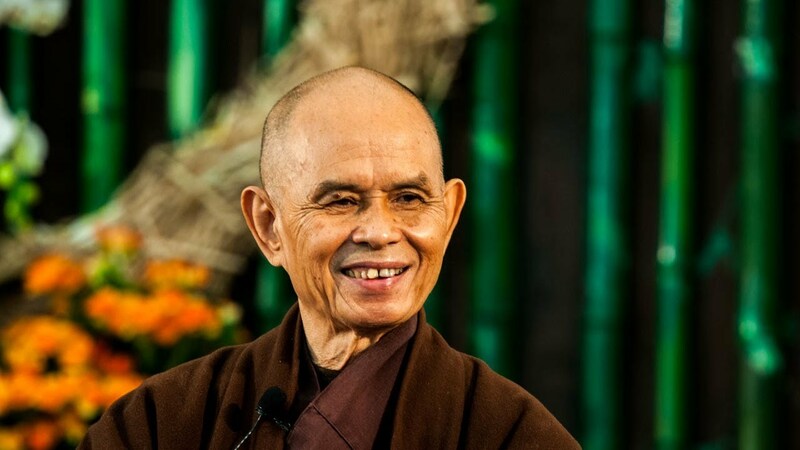 Here are a few lessons to learn from Thich Nhat Hanh on happiness. Happiness is a choice each person has to make to be content with life, in spite of all the struggles. Challenges and struggles are common to every person on this planet. Hence, waiting for all our problems to come to an end is not the way to be happy. 2. Happiness is living in the moment. To find happiness, we need to let go of our past, and stop being anxious about the future. The present is the only time that we can control. Hence, paying attention to the present will help you make the best out of it. This way you will find peace in every moment and experience true happiness. 3. True happiness is found in peace. At times, we’re happy because of something we have achieved. We are overjoyed, and we get excited about it. However, such happiness is short-lived. We celebrate the moment and then the excitement dies out. True happiness is not about being excited about the temporary things. It depends on the peace that we enjoy daily. 4. Happiness is meant to be shared. Happiness is not something that should be bottled up inside you. When you’re happy, you need to share it with the ones around you. The little things you do, and things you say can make an enormous impact on the lives of others. Happiness is how you approach every new day. To find happiness, you need to prepare your mind to find joy in every moment. Whatever be the situation, learn to overlook things that are worrying you and be happy by focusing on the good things around you. 6. Happiness is letting go of what you don’t need. There are many things that we don’t need, but we still possess them. If you can dispose everything that is not a necessity in life, and if you can choose to live with a few things that you need, you will be a lot more content than you are now. 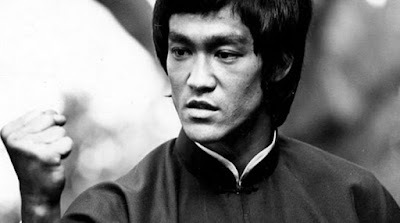 Bruce Lee Achieved All His Life Goals by His Death at Age 32 Because of One Personality Trait! In 1969, nobody expected a thin Asian man with a high pitched voice to become one of the most influential characters of the 20th century. Four years later, he was dead. But in those four years, Bruce achieved everything he said he would and more. At 32 years of age, he had already changed the fate of film and martial arts forever. Bruce’s letter is overflowing with confidence. But where did this confidence come from? We may never know the whole answer, but Bruce’s writings — collected in books like Letters of the Dragon and Striking Thoughts — give us a clue. In particular, let’s take a look at a letter written by Bruce Lee over a decade before his death, when he was still a 21-year-old student at the University of Washington. One part of my life is gung fu. This art influences me greatly in the formation of my character and ideas. I practice gung fu as a physical culture, a form of mental training, a method of self-defense, and a way of life. Gung fu is the best of all martial art; yet the Chinese derivatives of judo and karate, which are only basics of gung fu, are flourishing all over the US. This so happens because no one has heard of this supreme art; also there are no competent instructors…I believe my long years of practice back up my title to become the first instructor of this movement. There are yet long years ahead of me to polish my techniques and character. My aim, therefore, is to establish a first Gung Fu Institute that will later spread out all over the US (I have set up a time limit of 10 to 15 years to complete the whole project). My reason in doing this is not the sole objective of making money. The motives are many and among them are: I like to let the world know about the greatness of this Chinese art; I enjoy teaching and helping people; I like to have a well-to-do home for my family; I like to originate something; and the last but yet one of the important is because gung fu is part of myself. The most important personality trait in Bruce’s arsenal was confidence. Bruce had absolute confidence in himself, free from all fear or doubt. This was not innate, but developed through years of mental and physical training. Becoming a millionaire is the side effect of helping a million people. Your salary or influence is not an end in itself, but an (imperfect) measure of your contribution to the world. Bruce called it “spiritual force,” but I prefer the word “purpose.” A lot of people spend their whole lives chasing the “what” and then worry about the “why” later. Instead, study the “why” first (Bruce, for instance, studied philosophy in college) and everything else becomes easy. The above letter came from Letters of the Dragon, a collection of Bruce Lee’s letters filled with practical wisdom, philosophical musings, and beautiful sketches of martial arts techniques. 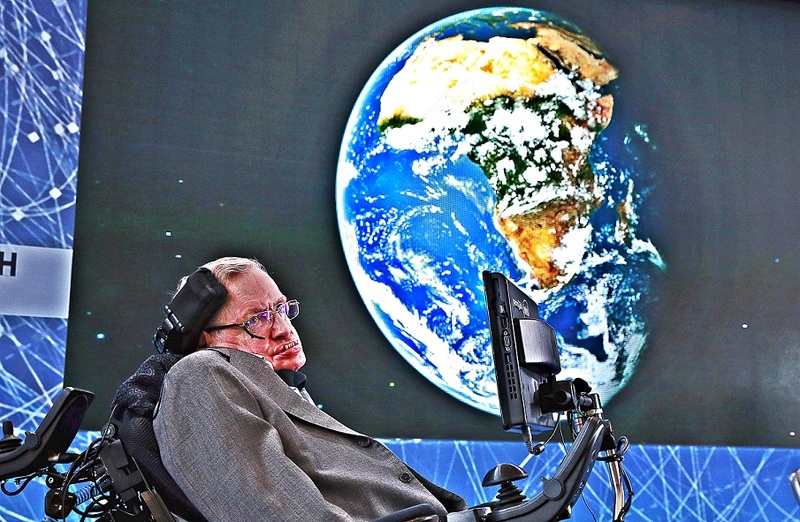 This post originally appeared at Better Humans.